Brand new nutraceutical whole food drink, FTN, is offering fitness enthusiasts and people on the go a chance to reduce fatigue and speed up their recovery times. Available in 60ml Citrus and Super Berry shots, FTN is already causing a storm thanks to it’s professional athlete following including Cardiff Blues Rugby, Adrian Grant, Michel Salgado and Nicola Hobbs as well as being a favourite among the work hard - play hard set. This unique blend was created by a team of top researchers over six years ago! Free from artificial chemicals, stimulants and fully NSF and WADA approved, FTN is a patented blend of five whole food ingredients designed to provide your body the protection and nutrients it needs to support its natural repair and renewal process. 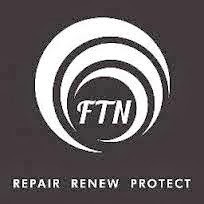 Developed by a team of top researchers over six years, and backed by a wealth of published independent research data, a single 60ml shot of FTN is jam packed with all the essential vitamins, amino acids and nutrients that your body needs to support it’s natural repair and renewal process. • Green Tea extract helps support the health of the digestive and respiratory systems and enhances the proliferation of cells within the skin. • Wild blueberry extract further promotes maintenance of healthy brain, cardiovascular, vision, joint and urinary tract function. • Vitamin D supports adult stem cell renewal and helps these cells become immune cells for naturally fighting infection. • Organic blue-green micro-algae contains protein, essential fatty acids, chlorophyll, beta-carotene and a vast array of micro-nutrients that supercharge the body’s ability to maintain superior overall well-being. • Organic fruit juice to help deliver the healthy daily dose in a refreshingly cleansing taste. The bottles are a handy in size - quite small so they will fit perfectly into a handbag or gym bag, or even a baby changing bag if your a busy mum on the go, I was sent a box of each of the flavors to try out. I thought the drink had a medium thickness to it, it slightly resembles a smoothie type drink in its texture they are both representative of there own individual flavourings, I would say there is a slight kick at the end of the drink - I have quite enjoyed them. I'd love to try the super berry. It's got to be the Super Berry.